 The Royal Exchange Theatre is thrilled to announce the appointment of Stephen Freeman as the new Executive Director. Stephen will join the Company following his role as Chief Executive at the Stephen Joseph Theatre, an organisation which has thrived under his inspiring leadership and dynamic partnership with the Artistic Director Paul Robinson. Having spent several years as an Arts Council England Relationship Manager for Theatre in the North West, he has had a long association with Manchester’s vibrant cultural scene and with the work of the Royal Exchange. As such, Stephen has an intrinsic understanding of the Theatre’s creative development and its artistic journey. He joins the Exchange at a time when the work both on and off stage is growing in ambition, as audiences become more diverse and more representative of the city region, and as the Theatre deepens its relationships with communities across Greater Manchester. Working alongside Artistic Director Sarah Frankcom, Stephen will help shape an exciting future for this unique theatre. Stephen began his career in the arts at Stafford Borough Council before taking up the role of Producer for Stafford Festival Shakespeare. He developed the festival’s flagship open-air production into one of the region’s most significant cultural events. Alongside this and his position at Arts Council England, his other roles have included Artistic Programme Manager for the Gatehouse Theatre, General Manager at the New Wolsey Theatre and Festival Director for PULSE Fringe Festival. In 2016 he joined Scarborough’s Stephen Joseph Theatre as Chief Executive. Stephen leaves the Stephen Joseph Theatre in an incredibly strong position, where audiences are growing and the work is flourishing. Stephen will take up his role as the Royal Exchange’s Executive Director in January 2019. ‘I am delighted to be joining the Royal Exchange, a theatre I’ve had strong connections to for over twenty years. The Exchange is creating energising and deeply engaging work with brilliantly diverse artists and is at the fore-front of changing the way theatre buildings work with their audiences. Making great, relevant art and understanding audiences are the central pillars of any producing theatre, and I find the way that the Exchange is interrogating and progressing this very exciting.